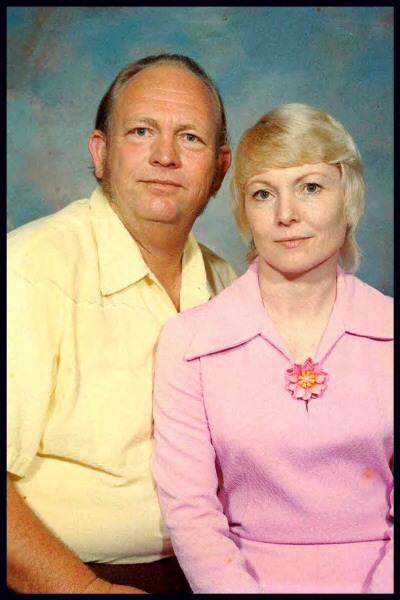 Welcome to Mary Ann and Earl Johnson's family photo album. We have four children: Debbie, Patti, Rocky, and Shannon. Debbie has two children, Melanie and Brandi. Patti has one child, Cameron. Rocky has three children, Julie, Andrew and Nick. Shannon has three children, Ashton, Peyton and Tegan. Melanie has one child, Olivia. Brandi has two children, Doug Jr., 'D.J.' and Eli Daniel. Julie has two children, Braylin and Tripp. We will be your host for the next few minutes as we take a stroll back through time and see some of the old folks.